Fairies are the topic of the day. The Fae are creatures linked to European folklore. They can resemble various creatures from other mythologies. Some traditions use the term wee folk to describe the Fae. They are described as looking like humans and having magical powers. It is said that cold iron can be used to defeat the Fae. It is like poison to them. One thing that is common in the lore that stems from Celtic nations is that the Fae were driven into hiding by humans. Some of my favorite books or shows are The Southern Vampire series by Charlaine Harris, True Blood, and Supernatural. They have each featured the Fae at some point or another. Cold iron – I will remember that. It was interesting to find that out. There is so much lore it was hard trying to decide what to put in. I didn’t know about cold iron – note made, since I’m planing on using fae in a new novel. I had to make a note of it as well. I have a fae novel in progress. it is also my first time doing the a to z challenege p.s the ociture is amazing!!!! Thanks for stopping by. Will have to look it up. I didn’t realize that cold iron is their Achilles heel! I didn’t realize either until I was putting this together. Made a note of it for my fae novel. They are definitely a being no one wants to cross especially with all the power they hold. I love stories with fairies in them so your cold iron was so interesting! I’m enjoying your blog! I do love faerie stories. So much rich folklore. It is always useful to know how to defeat a Fae, just in case you upset one :). Although the best plan is to not put one’s back up to begin with. There is a lot of great information out there on the Fae. I would also suggest the Hollows series by Kim Harrison (Pixies, Fairies and Elves) and The Dresden Files for the higher Fae like the Leannan Sith and the Queens of Seelie and Unseelie courts. Love the Dresden Files. Need to catch up on the Hollows series. One of my other favorites is the Merry Gentry series by Laurell K. Hamilton. 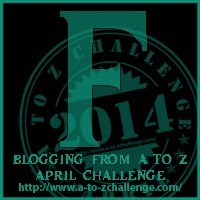 Welcome to the Blog Challenge. This is my second time participating. Enjoyed reading your article about some of the European folklore. Good luck with the challenge, this is my 5th but have had to start 3 times, gremelins at Google. Loved your post. Take care. I wasn’t aware about the cold iron. Interesting! Cool. I love Fae. One of my newest WIP is about the Fae. One of my favorite series is the Merry Gentry series by Laurell K. Hamilton.